This book is very well researched and presents just about anything one would want to know about the Frank Family and their background. I also liked how the authors wove in historical events throughout the book to help with the background. I was a little disappointed in the style of the book - this reads like a textbook/documentary. I think that the authors tried to cover too much - especially in the beginning of the book where it centers on events before Anne. However, if a student was going to research something about Anne, then this would be a perfect book with which to begin. As you can tell, my feelings are on the fence with this book - but it is certainly a good book to include in the classroom library. I did gain some insight into the Frank Family - and enjoyed the questions brought to mind as to how much worse it was for Jews that did not have the same resources/wealth. Again - I would recommend this book more for a research project than for an assigned book for the class in general. This is a case where reading the book/diary would be much better. However - in my wishy-washy review here, I could also see using this text as a hand-out BEFORE reading Anne Frank's Diary to give the students some good background knowledge. Excellent way to engage students from another angle - particularly for boys. Using a huge mud Golem to destroy a Nazi attack force - awesome! This is also a visually stunning book. Potential Issues - gunfire, etc -- nothing too graphic. fight back against this atrocity - discuss the importance of an individual taking a stand for what it right. 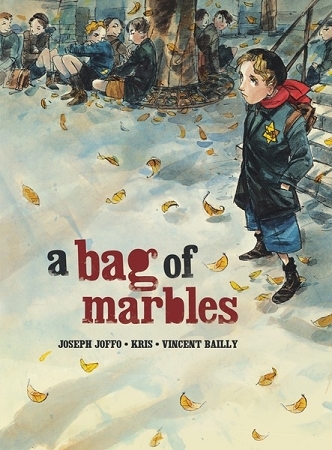 Beautiful picture book for children. Ties into teaching not only Jewish culture, but also ties into how Jews fought back in WWII. A collection of illustrations and quotes - allows the reader to sort through and form an opinion. Unique approach. Annotated and quoted. 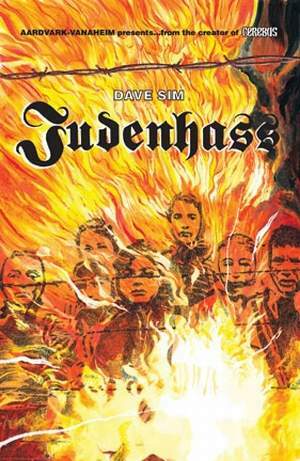 It presents multiple viewpoints of the Jewish Holocaust. Perhaps for an AP course. Wow! 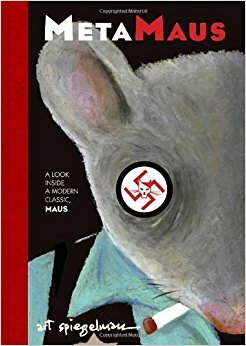 This companian to Maus is simply amazing - it comes with a DVD full of sketches, interviews, essays, videos, etc -- if you teach this book, or even just are a big fan - this is a must have! My students were impressed that I had a graphic novel on this topic - I have a class set that I use in my AP Euro class. This is a "story"
where truth is stranger than fiction. 9/11 was an Israeli plot? (of course not - but this book is a good vehicle to explain how propaganda can lead some to believe such absurdities). 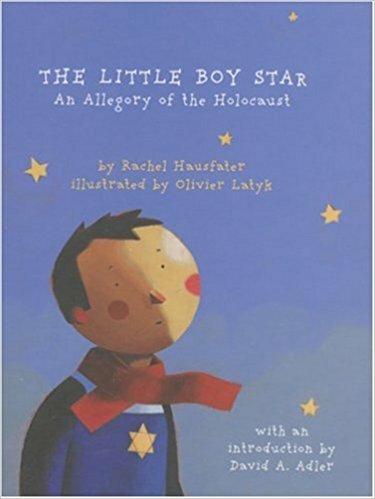 To explain what was happening, a little Jewish boy was told he was a star (by parents?). He began to feel embarrassed by the star he wore. Interpret each page of words - what is happening?